ICT, intelligent machines and manufacturing industries have exceptionally wide and varied business base in Tampere region. 36.000 university students and 34.000 technology industry professionals offer an excellent talent pool. The Tampere City Region is a versatile city with a high level of expertise. The region also has a strong research and product development base. Tampere region puts an exceptionally large amount of effort into research and development, approximately 7 % of the regional GDP. 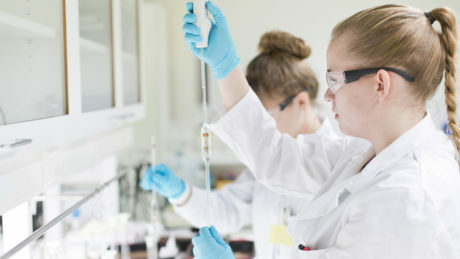 In 2013, the R&D expenditure of Finnish companies, universities and the public sector totaled more than EUR 6.6 billion. After Israel, that is the highest amount spent by an OECD country in relation to GDP. Building upon its strong ICT and industrial know-how, Tampere aims to be one of the key European development centers for industrial internet by 2020. This is not far-fetched since Finland is among the EU leaders in digital human capital and the Finnish workforce has one of the highest proportions of ICT specialists in the EU. Tampere region has a strong ICT expertise with world class technologies and is the center of the Finnish manufacturing industry with exceptionally wide and varied business base. University-industry collaboration as well as co-operation between the industries plays a big role in the development of the industrial internet and forming the Tampere region the center of intelligent machines. In addition to the strong manufacturing, intelligent machines and ICT clusters, Tampere region is getting greener and smarter with cleantech. Tampere region has a good availability of skilled labour and high quality research due to the local environmental science education in universities and colleges. New solutions in cleantech are driven by wide company base, modern innovation platforms and university-industry collaboration. Tampere is developing towards the greenest smart city and region in Finland which offers plenty of demonstration and piloting opportunities for companies with green technologies. 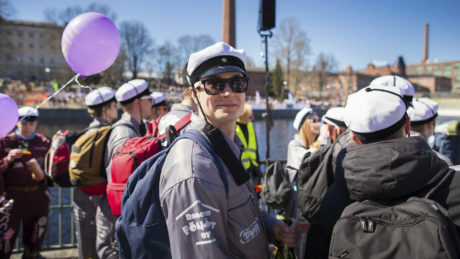 The Tampere region has a higher level of education than the average for the whole country, and the main groups of migrants to the area are those either possessing or aspiring to a high level of education. 36.000 university students and 34.000 technology industry professionals offer an excellent talent pool. According to WEF, Finland ranks #1 in university-industry collaboration and in the university level our Tampere University of Technology ranks #11 in the world! Tampere Region has succeeded in creating an interactive environment where different experts work together with companies to create smart solutions. Our research collaboration and business co-operation ensure that these solutions can be exported around the world with pride.